Great places to eat, see, drink and enjoy – tips from a local! 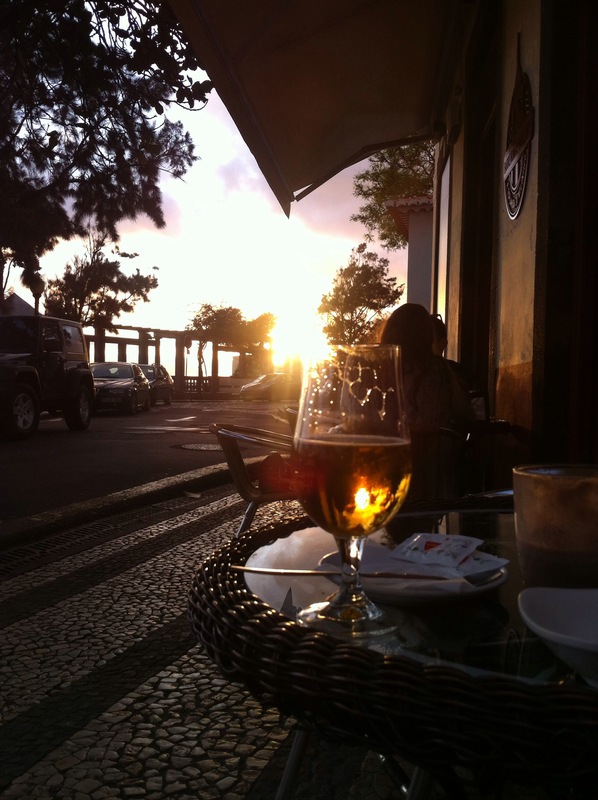 If you’re coming to Funchal, you should allow yourself at least 3 nights stay. If you want to explore the full Island then come for at least 6 nights and rent a car to make the most of your time. If you’re a beach lover, please include a day trip or a night stay in Porto Santo Island, in one word: Paradise! First, we love tourists and we’re used to having their company all year, so most people speak a foreign language, mostly English. Third, be prepared to relax. 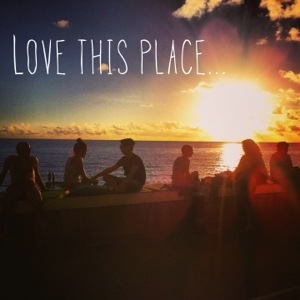 Whether it’s the climate, the sea, the friendly people, the food, the wine or the natural beauty. Don’t pack too many attractions in one day, and please don’t go all around the Island in one day. The roads are full of curves, you ‘ll get car sickness! I´ll try to be more convincing by telling you a secret, I live here for over 30 years and there are places I’ve never been, so keep this in your mind while planning your stay; just because it’s an Island doesn’t mean you have to see it all this time. 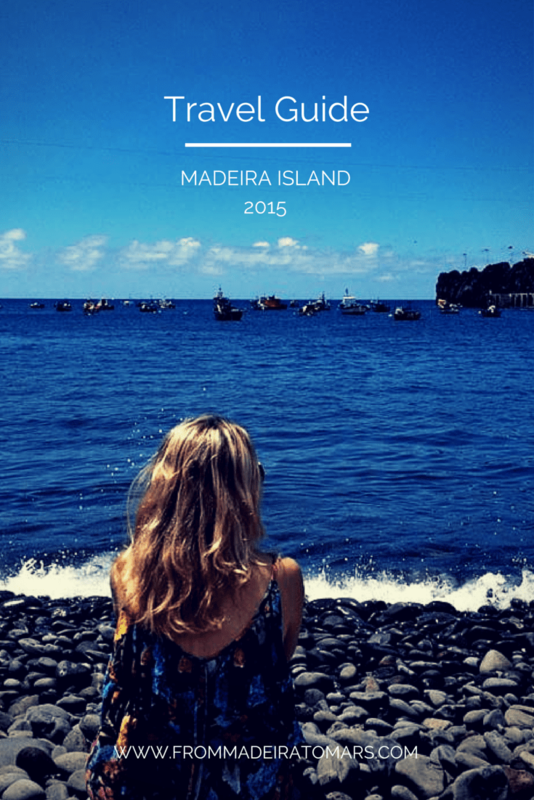 Madeira is a unique place to be discovered, be ready! Depending on your budget and the kind of experience you’re looking for, there are many options from luxury to budget. I leave you with my Airbnb and the guide I did for my guests. Reid’s Palace, one of the most famous hotel in Madeira, try the afternoon tea in the balcony for a taste of luxury and go back in time for how the first tourists experienced Madeira. Fajã dos Padres, beautiful, peaceful, unique place. Little houses by the beach, in a spot that can only be reached by boat or elevator, 20 minutes away from Funchal by car. If you’re looking for a place to escape and disconnect from the world…this is it. If you’re looking for apartments to rent check this article. In the Northwest coast check: Solar da Bica review, we loved it. In Rua da Carreira you can enjoy many lunches deals an old classic is Londres which is popular as a lunch break, affordable generous portions. In Estrada Monumental try Atlantic beautiful terrace by the sea and lovely food. 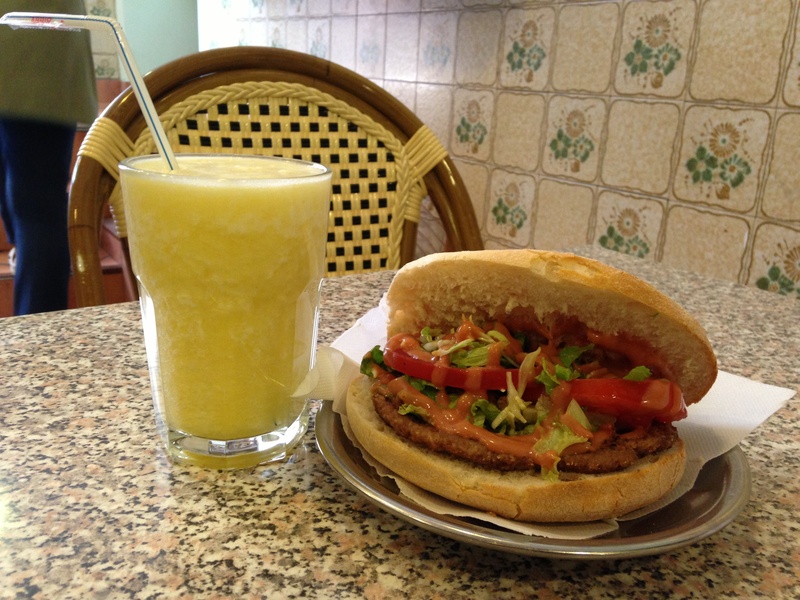 Outside Funchal is Casa Santo Antonio my favourite place for a typical espetada. 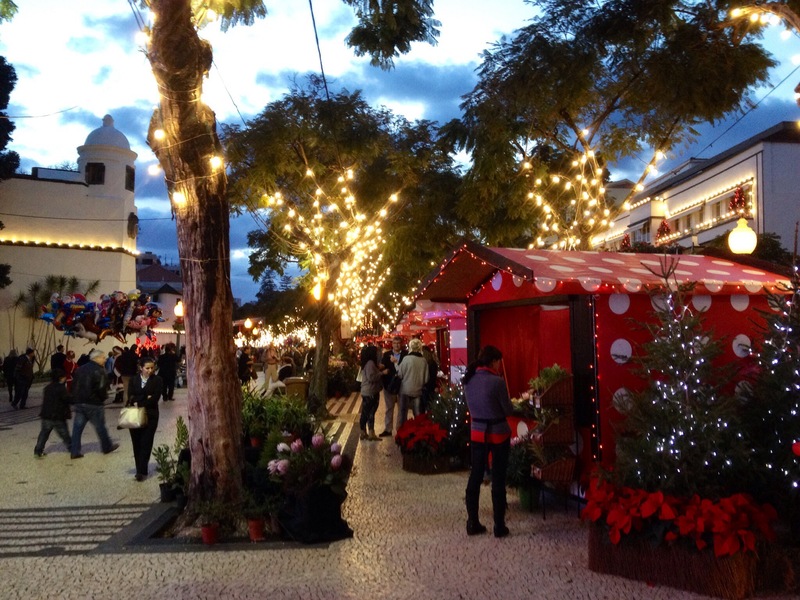 Take a day to walk around Funchal city centre. If you’re traveling with children check this map with points of interest. You can also book your tours, depending on what you’re interested in: air, land or sea. Walk Avenida Arriaga, see the Theatre and one of the oldest coffee shops in town, the Ritz. Visit the Cathedral, the Town hall and the Farmers Market. Keep walking into the old town and enjoy the painted doors by local artists. Reach Socorro Church and have a break at Barreirinha. There are also hop in hop off buses and Tukxi Tours that take on tours around these areas. Take the cable car to Monte, and enjoy the ride up the hills. When you come down you have two options back on the cable car again or on the toboggan rides, wicker cars pushed by man “carreiros”, a classic. There’s a beautiful Monte church and tropical garden to visit there. North west Coast: Sao Vicente (with its lava caves), via serra d’agua ( if you’re not driving, have a break in Taberna da Poncha, original poncha bar), and Seixal (mini eco bar is a nice spot there to relax) and Porto Moniz and its beautiful natural lava pools. 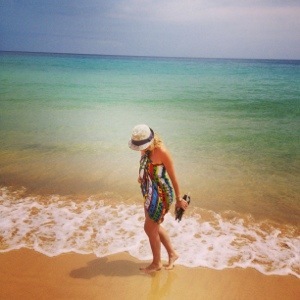 South west Coast: Camara de Lobos (beautiful fisherman town), Ponta do Sol (nice beach and front sea avenue), Jardim do Mar (for food try Portinho) and Paul do Mar (for sunset and mojitos), are some of my favourite locations. There are around 2,000 km (1,240 miles) of levadas. These drainage canals built by man, allow now easy walking access to the island’s dramatic mountain peaks and coastline. Beware some of the paths are difficult to reach and find your way, you should take a walking tour. There’s also an app called Walk me to guide you through the levadas. 3. Rabacal- Risco- 25 Fontes(3-4 h), my favourite! For wine, I would advice buying it in the airport, because of the liquid carrying restrictions in airplanes. Although you have many more options in the wine cellars, just make sure you can carry it on the airplane. For food and souvenirs there are shops with Portuguese brands, here are 13 special gifts from Madeira. My favourites are Barreirinha Bar Cafe, Mini eco Bar, Boteco, Copacabana Garden, hole in one (typical irish bar), Venda velha and Vintage bar in the old town, Cafe do teatro, Marginal, jam and Vespas disco for late night dancing. P.S.You can also check my instagram for inspiration, click on the map and see what is near you. Welcome Katie, you ll love it! 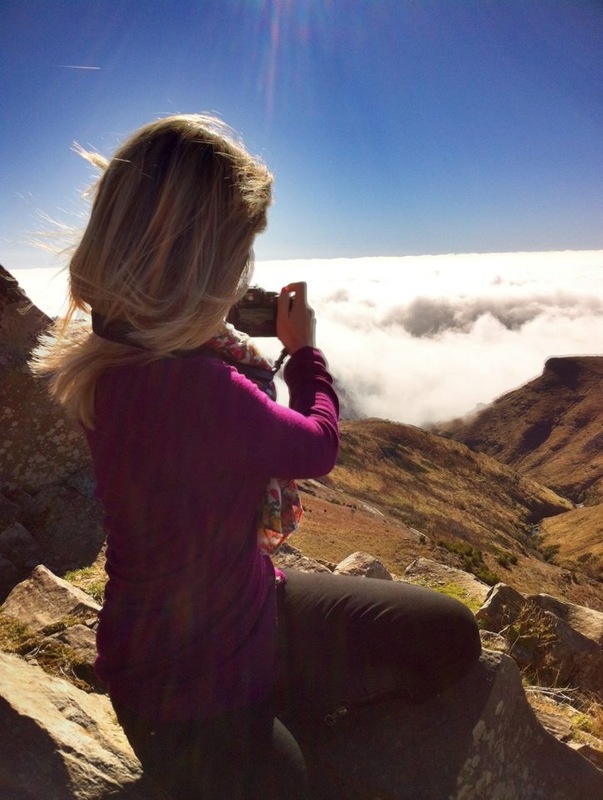 for hikes check naturemeetings.com list, I love the sunrise at pico Ruivo, the highest peak of Madeira. Have fun! Hola Sofia, i have found your blog by pinterest. We are coming to Madeira in July 2016 ( 2 family’s with each one daughter- 9 y en 11 y ) Can we contact you to meet as a greeter? We have already Booked our flights/ we want to stay in estalagem ponta do sol for 7n and 3n in Funchal. Stil looking for a place to stay in Funchal. I have also a personal blog Simply Sybi , but it is in dutch language 🙂 I am also on pinterest and instagram. 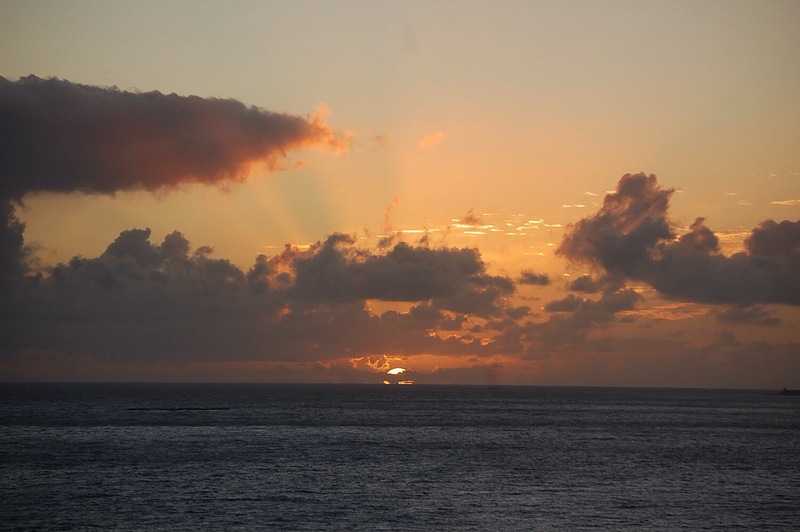 We have found an appartement by airb&b, staying in Funchal 27/07 – 30/07 / after ponta do sol / We would-be like to go 28/07 to porto Santo by boat, do we have to book a lot in advance? Obrigada! Hi! I would say that because it’s the end of July, you should book in advance. Usualy one month in advance is enough, but if you are taking your car along then book it 2 months in advance. You can book your tickets online http://www.portosantoline.pt. Wish you a great Holiday! Thank you for all the information. We are coming in late June 2016 and scheduled to stay at Hotel Eden Mare which seems to be part of the Hotel Porto Mare family of hotels. How is the Eden? I still have time to change so I could change to Porto Mare if there is a big difference between the two hotels. Also, I was not planning on making any reservations for excursions (dolphin watching or other) until we arrived. Would you recommend reservations in advance? We are traveling with our 2 daughters 20 & 18 so booked 2 rooms at Eden since it was slightly less expensive than Porto. The Jr. Suite looks to have 2 double beds pushed together but they refer to them as twin beds. Roll away bed is $60E/night so just booking 2 rooms seemed like a better option. I’m open to suggestions though as we want it to be as nice as possible. We (2couples) are visiting Madeira from 15/04/2016 till 25/04/2016 – We booked 3 nights in Sao Vicente and 7 nights in Funchal. We also hired a car for 10 days. For the first 8 days (15/04 till 22/04) we like to visit the island. On 22.04 at 00 hours, one of us is participating at the Miut ( a trail starting in Porto Moniz and finishing in Machico – 115 km) – The other 3 persons are following the runner by car and help him at the check points – We would like to discover some unknown places on Madeira. Perhaps you can give us some information. Maybe we can meet somewhere if possible. Happy to talk about your travel plans, you can text me at Facebook https://www.facebook.com/Frommadeiratomars/ any tips you need just let me know. Miut is an amazing experience I did the short version of it (Porto Moniz to Santa) a few years ago check https://www.instagram.com/p/XQTUeDNU-b/, I’m sure he’ll love it too. Thanks a lot for this blog, Sofia! It´s really well done. 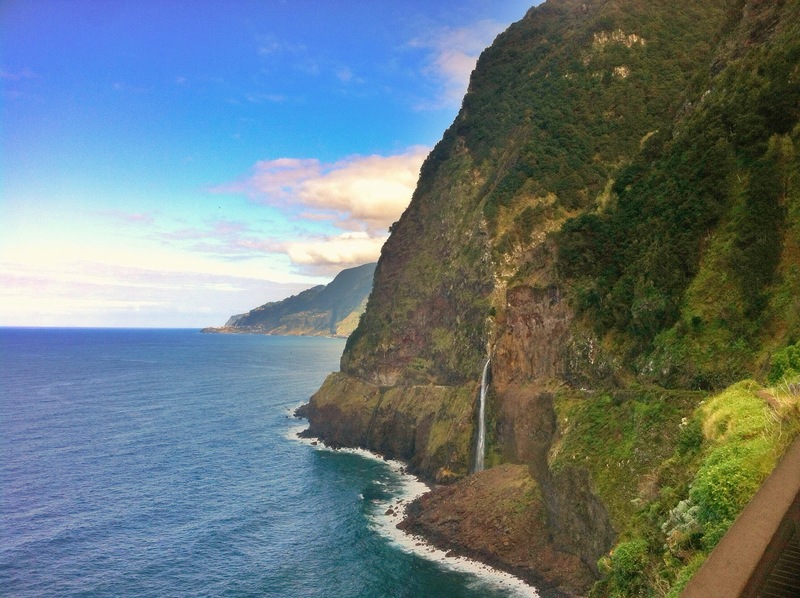 It´s giving me a lot of inspiration for my trip to Madeira with all the useful tips that you gave to us. I like your writing style and pictures are really lovely. GO on like this! My complements for your blog .Smooth reading and very clear . Like to have contact . Hi Sofia! A big THANK YOU for all of the great Madeira info on your site!! I am honeymooning in Madeira in early September (9/1-9/12) and am staying at AirB&Bs in Funchal, Faja Da Ovelha, and Seixal. Coming from the United States, and we are so excited! I’d love to contact you with any questions, should I have any between now and then! Hi Heather! For panoramic views of fireworks I would suggest Neves or Pico dos Barcelos viewpoint. Both of them offer great views of Funchal bay and fireworks, but these are public areas and get crowded, you must go very early to get a front view. If you want something bit more exclusive try a rooftop bar of a hotel like orquidea, carmo, castanheiro, vine or casino hotels. Another good point of view is from the pier in the marina ;). Enjoy! I loved reading your blog, there are some great tips in here. My other half and I are going in November and were wondering where you would recommend staying. 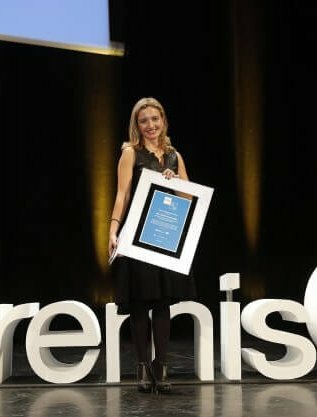 I’ve been told both Funchal and Calheta are good choices, but would love your advice! Question?? I’ve seen beautiful pictures of the waterfall highway, but I can’t seem to find where it is. Any help would be appreciated. There is one in Ponta do Sol old road, not higway! There is also the bride’s veil waterfall in Seixal. This is absolutely a fantastic blog! We are visiting Madeira right after New Year and are very excited about it. Our family (parents and daughters, 21 and 17) has extra challenges regarding eating out (and cooking) since I have to eat only gluten free food and our younger daughter is vegan. Can you recommend some grocery stores and restaurants for us, please? Your island looks amazing and it will be wonderful to get there in the middle of Finnish winter.